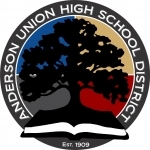 Read how Anderson Union High School District was able to streamline its internal operations using TextMagic’s software. TextMagic has helped our school District’s HR department tremendously, we can’t imagine going back to using standard email alone again! We are a small school district in (far) Northern California. Our District has two main, regular education schools, one charter school, and three alternative education schools. 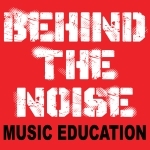 We have about 190 staff members and about 2000 students. High school athletics coaches are hard to find in our area, and even harder to keep track of or track down. We use TextMagic to keep coaches, and other staff members, up to date on expiring certifications. Because most coaches are not a part of the regular staff, we don’t have a lot of face-to-face contact with them, so texting keeps us in contact when they don’t have time to come by the office. The new hire or new coach process for our District is pretty lengthy and sometimes can take up to a month to complete. We use TextMagic to notify coaches and staff of what has been completed and what is still needed through the hiring process. We have discovered so many great causes for the app, I have now begun sending out meeting reminders and interview confirmations to applicants. I have noticed that this has become the preferred method of contact for many of our staff members. Where people have asked me to email things in the past, they now ask me to text it to them. Coaches have become so much easier to communicate with. We made flyers to send out and I still have people bringing them in and asking about it. I can send out notifications on behalf of others in the District, its just great.